How about an ARC tote bag! Our popular ‘bag for life’ measures 37x40cm with lovely long handles to go over your shoulder. At just £4 (plus £1 p&p) it’s a great gift that will get used! 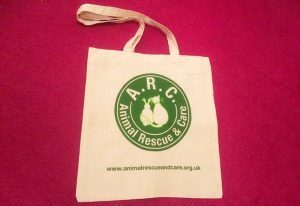 Do your normal shopping online and raise money for A.R.C. Check out our Giving Machine page for more info.